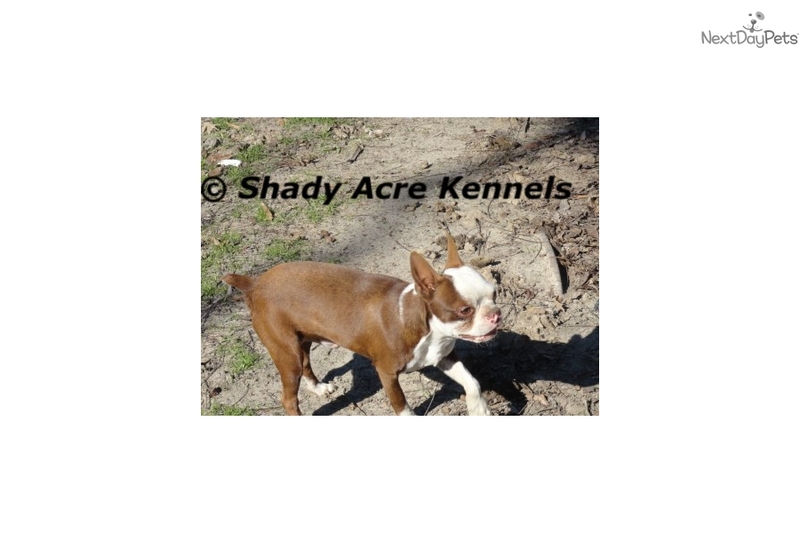 This Boston Terrier nicknamed Dexter sold and went to a new family. This beautiful little guy is almost old enough to breed!! 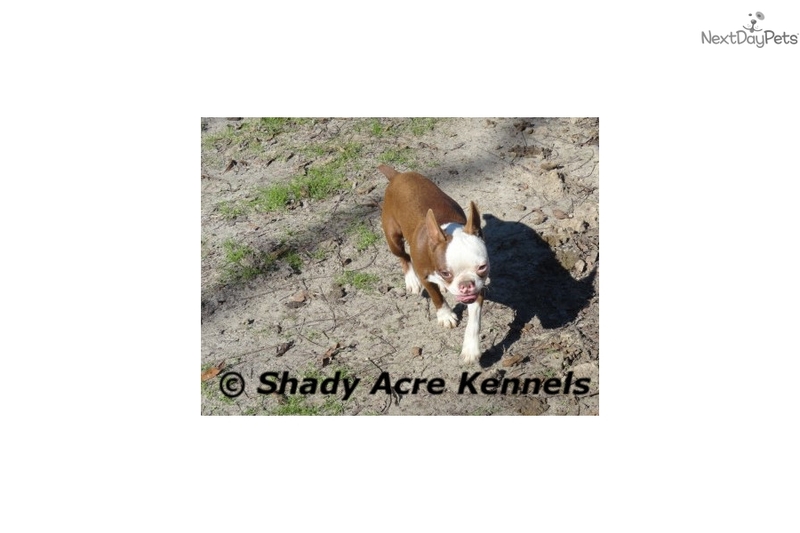 He is full CKC registered. We are scaling down our male bostons. He will make a fine addition to any breeding program and is also very friendly with our grandchildren so would do well in a home with children too. We REQUIRE a $200 non-refundable deposit to put the pup on hold. (Deposit does go toward the purchase price). We accept credit cards & paypal--we also accept western union,& . 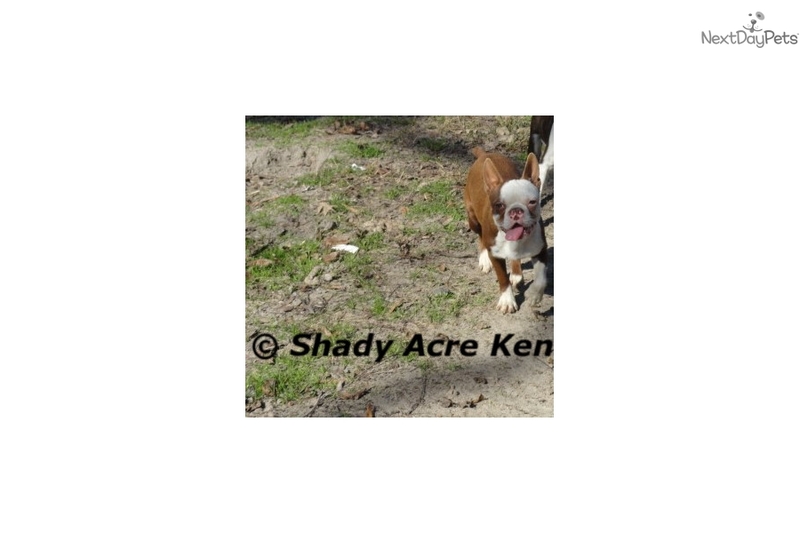 WE DO NOT ACCEPT CHECKS OR MONEY ORDERS OF ANY KIND.--We DO NOT ship our puppies through the airlines or van lines. We prefer to do a face-to-face meeting with you. You will see us, know we are honest hard working people, that our puppies are precious to us,that we give lots of care & attention to our pups. 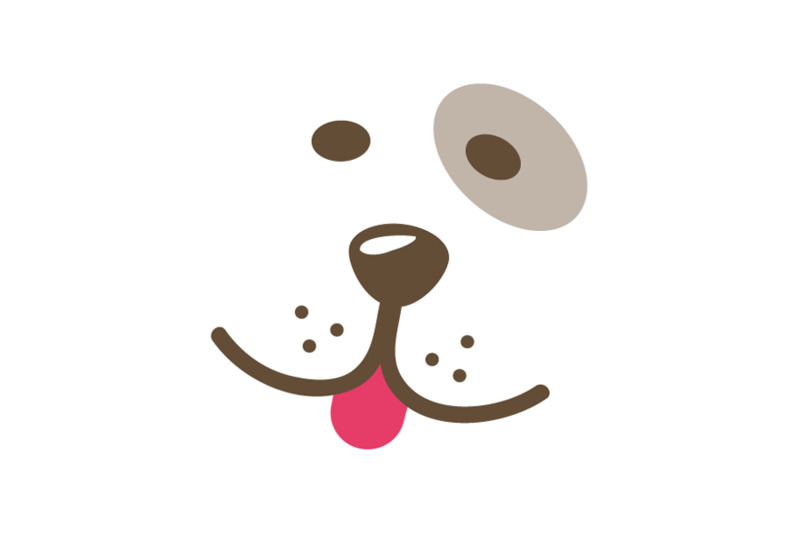 As a courtesy to our customers we do offer to deliver your puppy to you or meet you part way (for a fee). 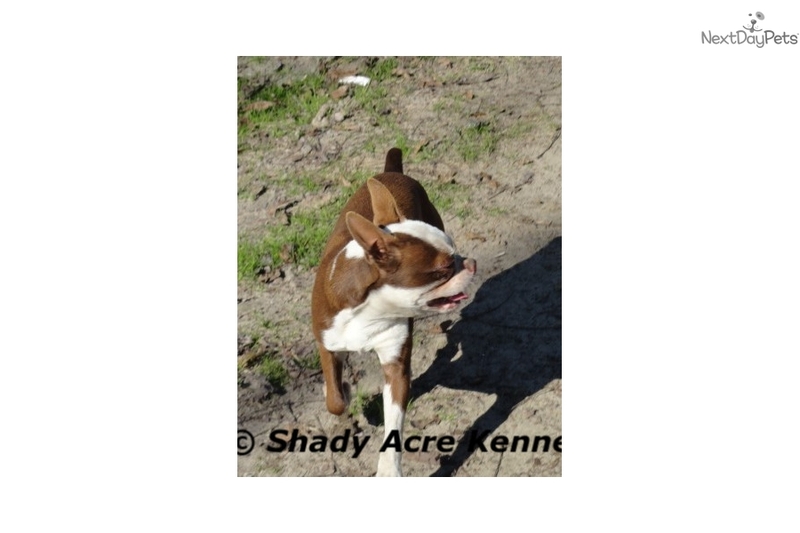 We would love to hear from you & are glad to answer any question you may have-- You may email, or call/txt 229-425-1552-- www.shadyacrekennels.com.